Have you ever thought about eating pizza in a different version? What would cross your mind when talking about pizza? Probably Hawaiian chicken? Or pepperoni is it? Well, it's time to move on with that typical round pizza gaisss. 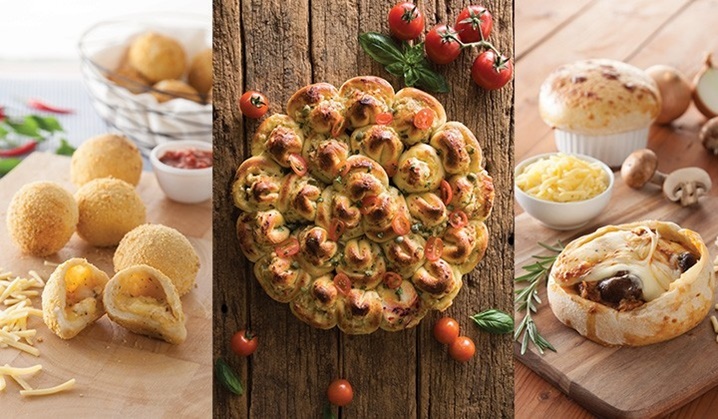 The reason is that Anchor Food Professionals has launched an exciting campaign called PizzArt with their partners to celebrate pizza in all its shape and sizes. Yeayy!! Whether you are a hard-core foodie or a discerning gourmand, these pizzaz gonna bring you to another level! Here Comes The Artisanal Pizza by Anchor Food Professionals! What is artisanal pizza? Easy peasy. It's a pizza but doesn't look like a pizza, but it's still a pizza. This new pizza creation was conceptualized and created by Anchor Food Professionals' Hot Cooking Chefs as a way to help their partners create more excitement and variety in what they offer to their customers. 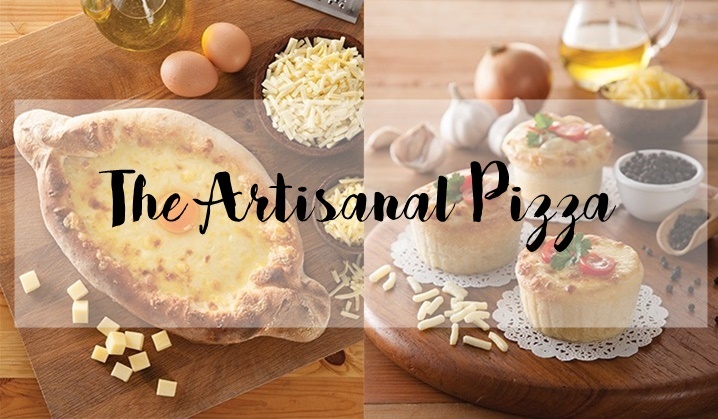 Using only the finest dairy products available, these artisanal pizzas are made with Anchor products such as Anchor Mozzarella Shredded Cheese, Anchor Unsalted Butter, Anchor Colby Cheese, Anchor Cheddar Cheese, and Mainland Edam Cheese. There are 5 pizza masterpieces introduced by AFP such as Flower Pizzaz, Pizza Bombs, Adjaruli Khachapuri, Mini Muffin Pizza and Pot Pie Pizza. The pizzaz can only be made by kitchen crew with advanced culinary skills. Chefs and assistants from participating restaurants were trained in the ways of a skilled pizzaiolo by Anchor Food Professional in preparation for the launch of the campaign. They were taught specialized skills to create unusual pizzas. 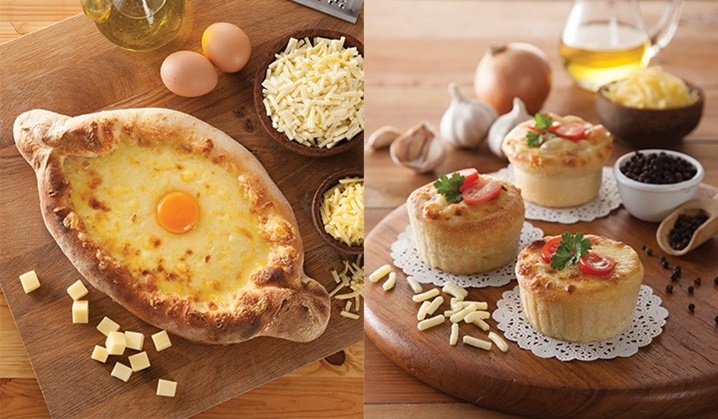 Enjoy The Cheesiness at Chillax Cafe & Bistro Miri! 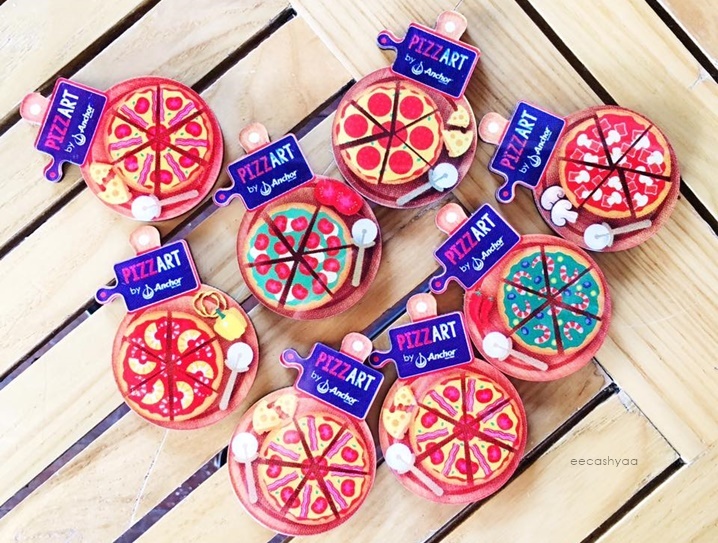 The Sarawak Bloggers (Miri based) and I have been invited to this Pizzart campaign and we were excited to spread the good news! Chillax will be going to launch 3 out of 5 artisanal pizzaz at their outlet starting 15th August and we got the chance to try them out first. Get ready cheese and pizza lover! Muffin pizza is bite-sized version of delicious pizza which is perfect for breakfast and as a snack as well. It has smoked duck meat and light gravy filling which taste so good to me that it made me forget the fact that I don't eat duck! Can you see the gooey and stringy cheese as you fork the filling out?! Nobody can't resist this k. Fat doesn't care as long as the tummy is excited! This is a Georgian dish of cheese-filled bread. The pizza is made into a boat shaped filled with hot cheese and oozing egg. Cheese lover gonna love this cause it's so cheesyyy! How do you eat this? You have to put 2 to 3 cube of the butter to your preference inside the boat and stir it together with the egg and the hot melted cheese, and voila, you're done! Ms Ju Yi pulling up the cheese string. 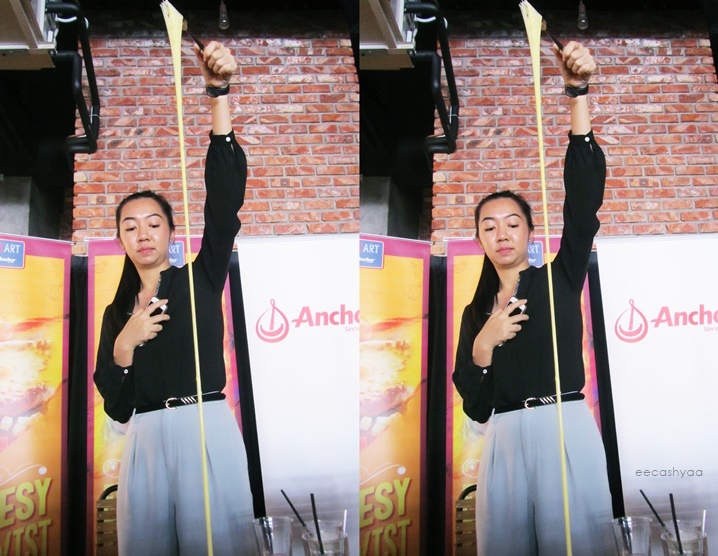 Chillax should be doing who-has-the-longest-cheese-string challenge k! You will get this limited edition fridge magnet with any purchase of this artisanal pizzaz! Don't forget to grab it while the stock last! So that's it. You can taste this artisanal pizzaz at Chillax Cafe starting on 15th August with affordable price. Fret not, even though the PizzArt campaign last till mid-November, these menu gonna stay at the outlet depends on customer's feedback about the artisanal pizza. Anchor brand is already a leader in the dairy segment in Malaysia. The recently rebranded AFP reflects the way the food service team are now doing business, acting as true consultants, working behind the scenes to deliver exciting new taste and products for all the food and beverages field. The team will help business with all aspects of their operations, from front-of-house presentation and pricing and promotion. AFP is using this knowledge and optimizing dairy ingredients using Fonterra's world leading research and development capability to meet the specific needs of chefs, bakers and restaurant owners. Thank you AFB and Chillax Miri for having Sarawak Bloggers! Awesome write up! Love how you explained everything in detail.